Something occurred the other day that got me thinking about how my daughters perceive me. While I was getting ready to have an at-home spa day, I noticed that my face firmer-upper-thingy wasn't working. Here I am, my face slathered in the special "facial conductive gel", going through the house looking for a new battery. Finally I found a 9-volt in the back of a junk drawer and connect the do-hickey's, turn on the power and... nothin'. I'm standing in the bathroom, making faces and trying the power button again and again, but it still doesn't work. 'What?! Give me a break!' I say out loud. My 16 y/o daughter walks by and says "Mom you don't need that stuff anyway. You look great. Why are you trying to look younger?" Aww, that's sweet, kind of. There seems to be a misunderstanding, however. My daughter thinks I'm trying to look younger. No, that's not it. I'm fine sharing my age (that would be 47). Just because I want to keep my features looking the best they can doesn't mean I want to appear younger. I'm trying to put forward the best me I can. I know that wrinkles will happen, I know that things will sag. But how I look now, how I feel now, that is 47 years old for me. I'm not trying to look younger, just the best version of me I can be. How do you feel about age? 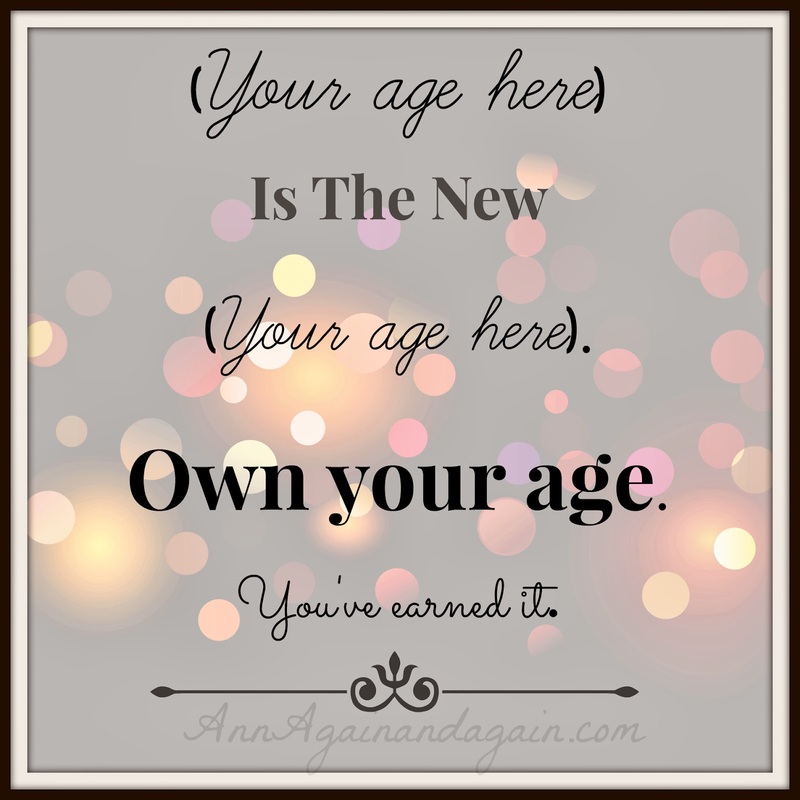 Do you share your age proudly? Or, are you a bit shy about the number of your years? Does it make you uneasy to tell others how old you are? If so, why? And if not, share with us how to feel better about age.